Previously, I always wondered how I struggle to get 100 likes on my best photos while one of my friends always had 500+ likes on his every photo even when he looked like a smiling horse in them. One day I decided to find the secret behind this, I went to his timeline and started analyzing all the posts. I noticed one thing, Each one of them had different hashtags. So I decided to try this trick out. And guess what, I went from hardly reaching 50 likes to always getting 500 likes in just one week. The secret? 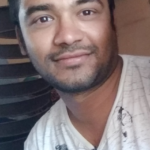 I started using some best hashtags which increased my post visibility and likes. After this a lot of my friends started asking for my secret, I know lots of other people are also looking for ways to increase Facebook likes for free. People use hashtag on many social media platform like Twitter, Facebook, Tumblr, Instagram, Google+ and Pinterest to explore their content to people who have same taste. Hashtag (or pound symbol) marketing is a fine way to better business as well as ensure excellent exposure. A hashtag on Facebook can certainly guarantee additional traffic for your Facebook page as well as profile. 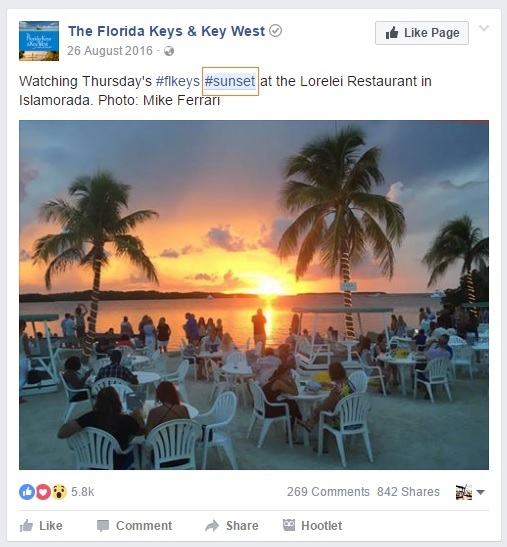 A Facebook hashtag while incorporated in your post provides users with comparable search preferences to simply locate your content. Also a hashtag merely connects to the user with public posts having similar hashtags. 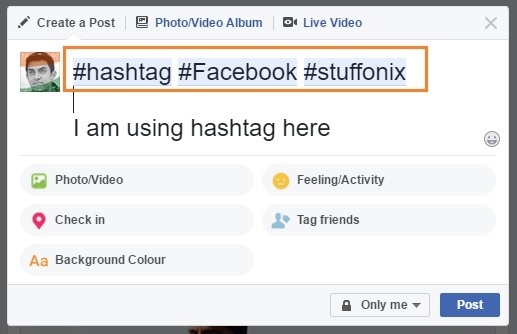 It is quite easy to generate a clickable hashtag link in your Facebook profile; so Let’s first discuss How to use Hashtags on Facebook . 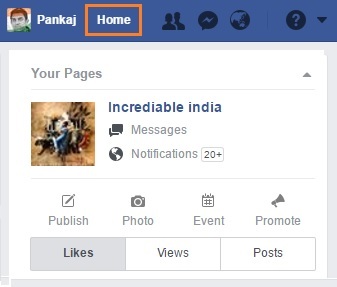 Step 1 – Firstly you need to access your Facebook profile & then click on the Home link at the upper right corner. The next task is to create post about anything comes in your mind. You can even upload photo or video also. The turn of phrase you would like to add to your post must be preceded by a “#” sign. You should not proffer any space among the words. Punctuation marks are incompatible so stick to letters and numbers for building your Facebook hashtag. 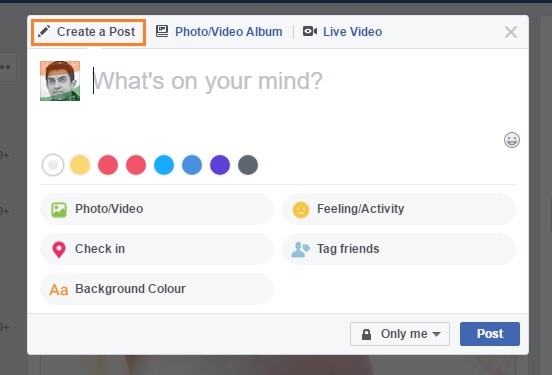 Post your status by just clicking on Post button. Now you can see all hashtag become clickable and once you click on any #hashtag link then it move you to another page where in all post belongs to same #hashtag. 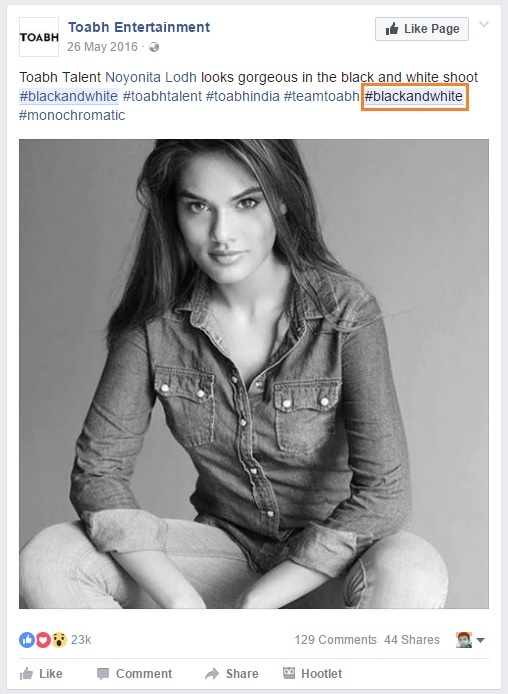 See below few personality and Famous website using Hashtag to avail post to more people of same taste. If you want to search data about any specific topic through hashtag then just write #hashtag like #SEO and click on search icon..You will get all post which has been using #SEO as hashtag. So let’s start with one of my favorite..
Well, all of the below hashtags will provide you a great number of likes, but they all are meant to be posted with some special type of pics. So you need a universal hashtag which can be used in every post proving the same result.And the #likeforlike hashtag fits the mold perfectly. 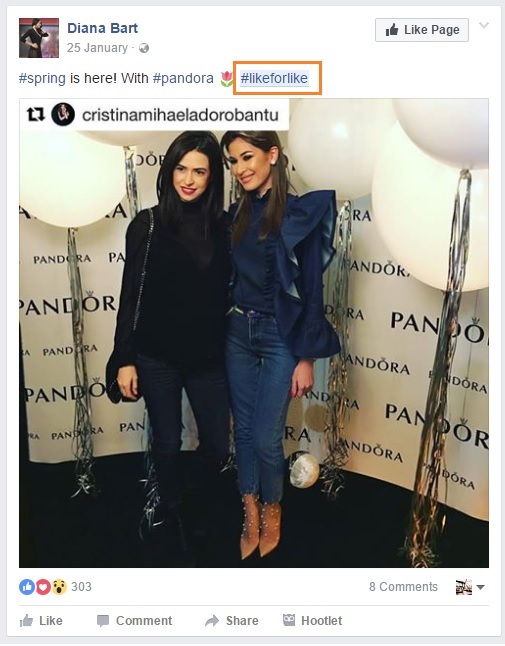 The #likeforlike hashtag is an effort by social junkies who are also looking for free Facebook auto likes and it is one of most popular hashtag on Facebook. However if you are using this then you should also like some other posts containing the same hashtag to keep this campaign running. Are you one of those people who take the resolution of being fit at the start of each year then find yourself eating a family size pack of chips 20 days later? Well, then this is your chance. 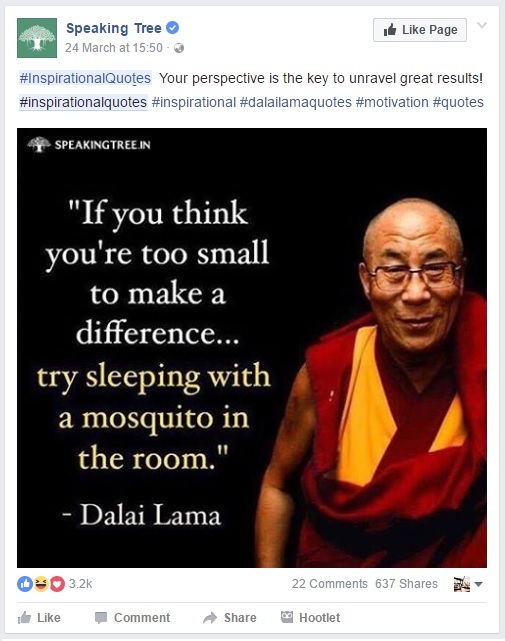 A lot of inspiration is spread across the Internet and if you are feeling lazy, try #inspirationalquotes for finding some great wisdom. One of the most popular trends of Morden Internet, Throwback Thursday is a campaign where you post your old funny or otherwise awkward photos for fun. 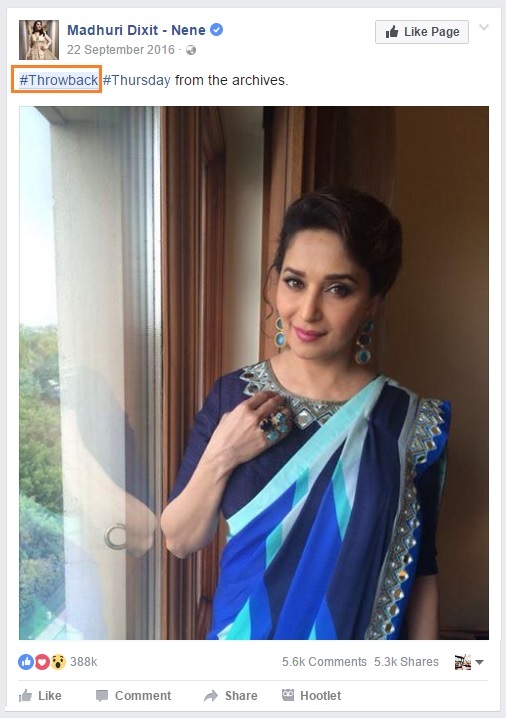 And with the new Facebook feature which tells you about the memories you posted in past, this trend has gone viral. So if you also have a memory to share with your online buddies then don’t forget the #Throwback hashtag. I am damn sure if you use this famous Hashtag on Facebook then surely you will get more like in compare with other without hashtags. The simplicity and beauty of nature have always fascinated mankind. 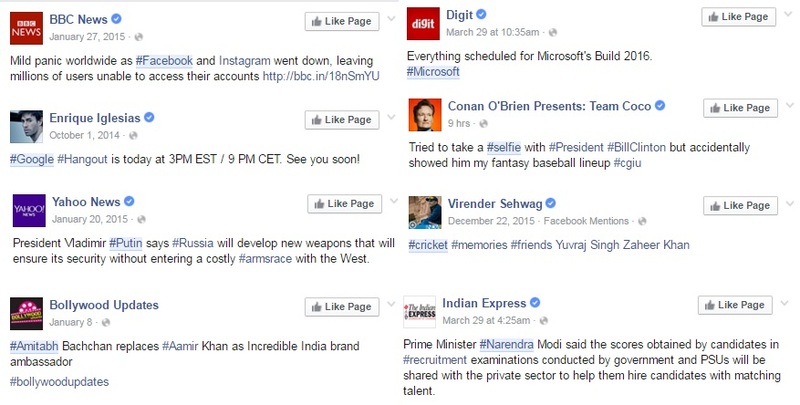 So the hashtag has also made it big on Facebook in terms of exposure. 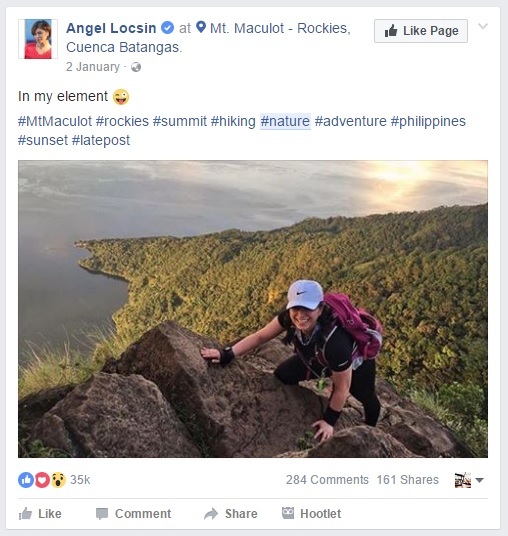 Yes, there are more popular hashtags available for landscape images, but your post will be probably get lost in between. So whenever posting about nature, do add the #nature hashtag. Whether you like it or not, lots of people love their pets more than they love their own self. And one animal which is specifically considered as a part of human life now is the dog. 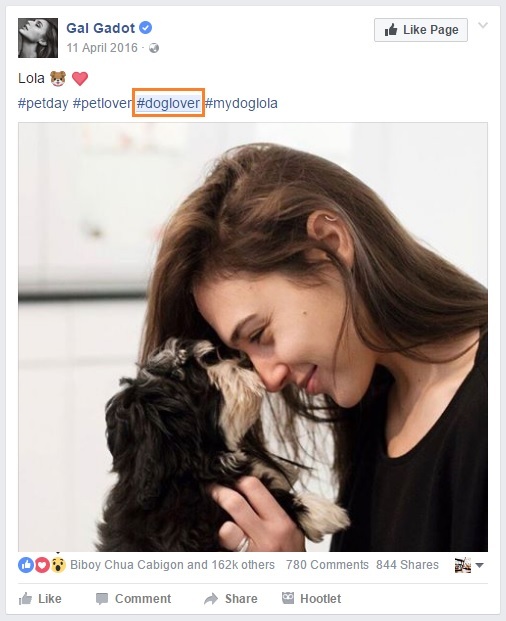 People love to upload photos of their dogs and if are a dog lover too then you should definitely be using the #doglover hashtag. Regardless of where you live, Sunset is one of the most beautiful times of a day. Also, whether it’s spending a calm evening with your loved one or a fun evening with your friend. Sunset is the time for making some long lasting memories as well. That’s why this hashtag is quite famous. First, we had portraits, then we created the technology to capture all our previous moments. However we first only had black and white photos then we slowly developed them to be colorful. I know people who are only born for uploading photos. Their virtual friends know about everything they do before their family thanks to the social machines. If you are one such person then you also need something to make your best photo of the day stand out among others right? 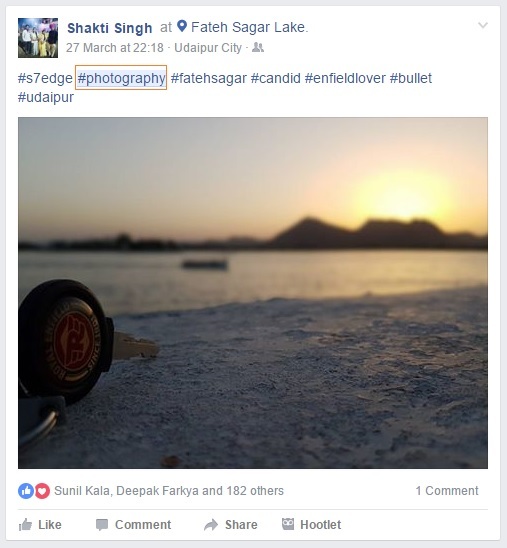 That’s why people have invented the #bestoftheday tag which showcases your best click of the day. Nowadays, almost everybody has a powerful camera attached with their smartphones, that means the number of photographers (or at least people who think they are photographers) has increased immensely. That’s why the #photography hashtag is quite popular in social media. Lots of people are using it to show off their photography skills and you can do it too. The purpose of hashtags is to permit users on social sites like Facebook to search for related posts. Therefore whilst posting hashtags you require to be content specific. It is not decorative devices that are awkwardly added regardless of the content; such purposeless hashtags can negatively have an effect on your online venture. Like if your post related to wordpress(#wordpress) and you are using #games or #movies like below. The hashtag utilized should clearly outline the fundamental idea of your content, for example if you are posting regarding tennis rather than giving a hashtag like “#games” you should provide the name of the scrupulous game. Also whilst typing hashtags capitalize the first letter of each diverse word for better readability. Whilst shaping your hashtag you need to be a bit artistic particularly if you are interested in doing serious business. In order to rise above your competitors you require using your artistic skills to develop exclusive hashtags that symbolize your product or industry. Avoid littering your posts with hashtags, as it might make pessimistic views amongst users. Too many hashtags might seem as a desperate attention seeking technique which will not assist you in any way. 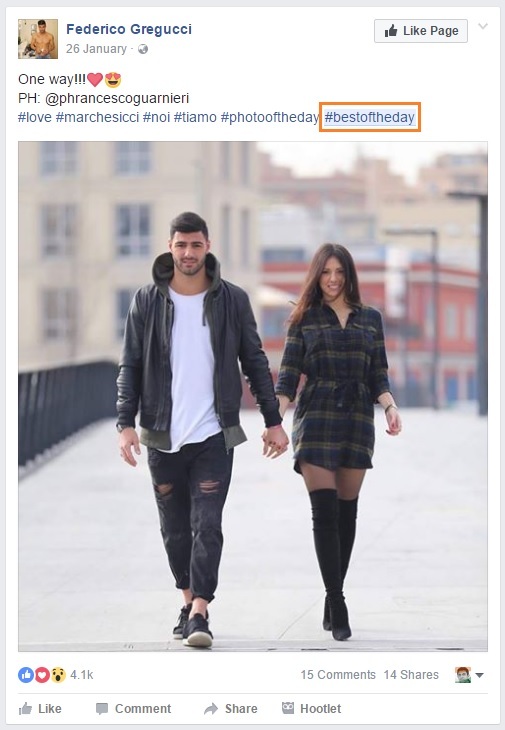 Keep an utmost of two hashtags per post to guarantee publicity without being tagged as spammy. If you are using more hashtag then as per study you will get less interaction. 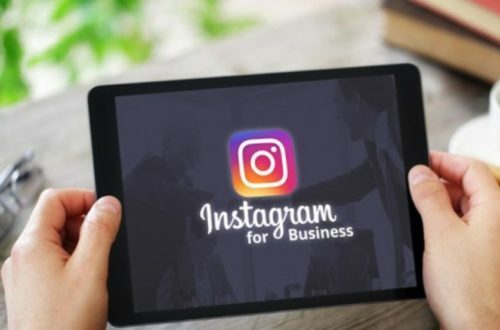 In order to make more traffic you can design incentives akin to promotional offers for the users who are using your hashtag whilst posting updates, this practice will certainly enhance your business. Hope you are now aware how to hashtag on Facebook and what are most popular hashtags on Facebook.. So what are you waiting for? Use the magic of these amazing hashtags and see your likes growing. Don’t forget to tell us your experience in the comments section. If you are using some amazing hashtag and Getting huge likes then please write us.